Many appraisers prefer the guideline company method because of the quantity and quality of data available about the selected company or companies. Some appraisers will review hundreds of companies searching for the one most comparable to the subject company. This, however, is also the problem. We are lured by the data to over rely on one or a few comparable companies. 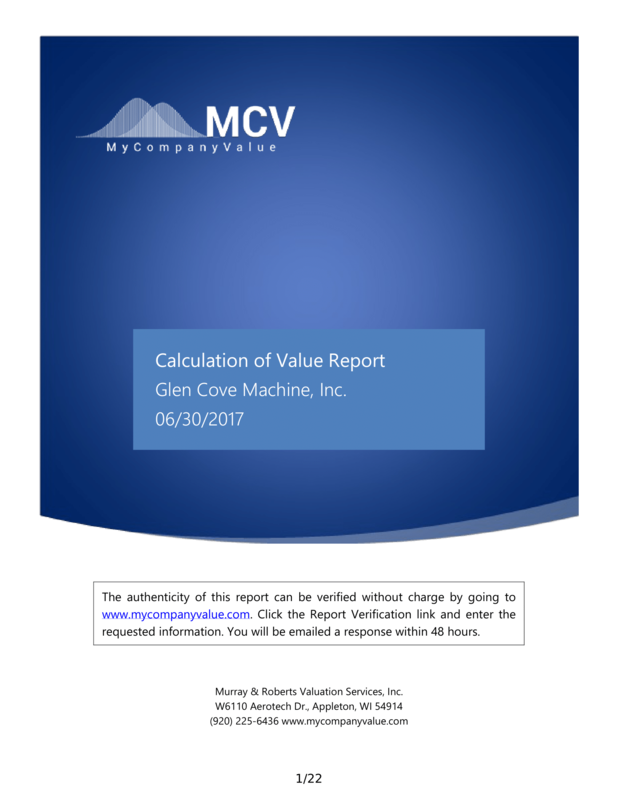 It is impossible to know all of the factors contributing to one company’s value as of a given date by reviewing its financial data. Circumstances involving key personnel, large customers, proprietary technology, and the condition of equipment all may have influenced the share price or transaction value. Was the transaction hostile, or for the benefit of upper management? Did the transaction incorporate synergistic value which allowed the buyer to pay a premium to fair market value? Perhaps the most significant question would be: what were the short and long term growth rates of earnings expected by the investors? Far too many factors are unknown to pin an estimate of value to a single comparable company. Valuing a company is not like valuing a residence or a piece of real estate. We can’t just walk through the place and have a look at the kitchen floor. The risk of arriving at an erroneous conclusion of value (or, a highly erroneous conclusion, given there is no ‘right answer’ in valuation work) is increased due to information affecting transactions that is unknown to the appraiser. Therefore, the probability of unknown information skewing an estimate of value derived from the Market Approach increases as the number of companies compared to (‘the group’ of comparable companies) decreases. The unknown factors present in individual companies are diminished or ‘washed-out’ as the size of the group increases, just as a diversified portfolio of securities reduces the unsystematic risk associated with each security in that portfolio. This principle is true when applying either the guideline company method or the transactional data method. We cannot claim to know all factors pertaining to an individual company, but we can reasonably assess the conditions present in an average company given the industry. We can more reliably estimate the expected growth rate of earnings of an average company in an industry than we can estimate the expectations of investors for a specific company when limited information about that company is available. Today, due to expanding databases, we can select a large group of companies with many factors similar to our subject company; industry, size, profitability, etc. Ten to twenty companies is a sufficient size to substantially reduce the risk of an individual transaction skewing the result. It should be comprised of the most comparable companies identifiable. The subset of companies should be limited to those in a reasonable size range and in a similar profitability percentage as your subject company. Transaction date is less significant than industrial similarity and size. According to Ibbotson’s Stocks, Bonds, Bills, & Inflation, historic equity returns do not indicate clear patterns or trends over their 80+ year period of data collected, and are better characterized as a ‘random walk’ from year to year. For this reason, date range does not need to be limited to transactions within a few years of the valuation date. Depending on the industry, ten years is a reasonable maximum. Industry conditions may change substantially in more than a decade. Those changes could impact investors’ long-term perceptions of risk for that industry. Geographic limitations should be applied judiciously based on the nature of the subject company. If a company’s customers, suppliers, and competitors are nation-wide, then geographic limitations may not have an impact on the operation of the business. Unnecessarily restricting a search to a geographic region could limit the number of companies in the resulting sample. This may cause the acceptance of a broader criterion of search characteristics (thereby reducing the similarity of the comparable companies in your group to your subject company) to achieve a reasonable group size. Many experts will calculate key ratios or multiples (Price to Sales, Price to Earnings, Price to Gross Margin) for each comparable company, and find the medians and means of those ratios. Medians are often preferred to means because medians are not skewed by outliers. Means are also useful because they allow for the calculation of the average deviation percentage of the mean. This is a useful measure of the dispersion of the data in the group. The less divergent the data is within the group, the more consistent and reliable the median or mean produced. An average deviation percentage less than 20% indicates highly consistent data, and above 50% is highly divergent. The degree of consistency in the data is a measure of how reliable the estimate of value arrived at using the Market Approach will be, and may indicate to the appraiser the degree to which they may rely upon this approach in their final conclusion of value. The median and mean ratios are applied to data from the subject company to arrive at a transactional value. One drawback of this approach is that valuing the subject company based on an earnings multiple derived from the group effectively applies the group’s expected growth rate of earnings to the subject company. Adjustments to the resulting value should be made for working capital, capital structure, and excess assets to arrive at an equity value comparable to other approaches.